The compact WoodPro WS-TS-1500 wood stove provides high-efficiency heating for smaller spaces. The 45,000 cubic centimetre, EPA-certified firebox holds a stack of 40 centimetre logs and can burn continuously and efficiently for up to 8 hours, while the included 2.8 cubic meter blower maximizes heat distribution in your home. The single cast iron door with large window provides easy loading and a beautiful view of the fire. Pleasant Hearth non-catalytic wood burning stoves will warm your heart and your home with highly efficient and effective indoor zone heating. This stove has been EPA certified with a 82% efficiency rating with emission at 4.4 grams/hr. Perfect for single-family use with little assembly required. All Pleasant Hearth wood burning stove feature a brick lined firebox, chrome handles, air wash system for cleaner air, front-loading solid cast iron door with large ceramic glass viewing area, and a 5 year limited warranty. Stoves operate best when fuelled with seasoned cord firewood. 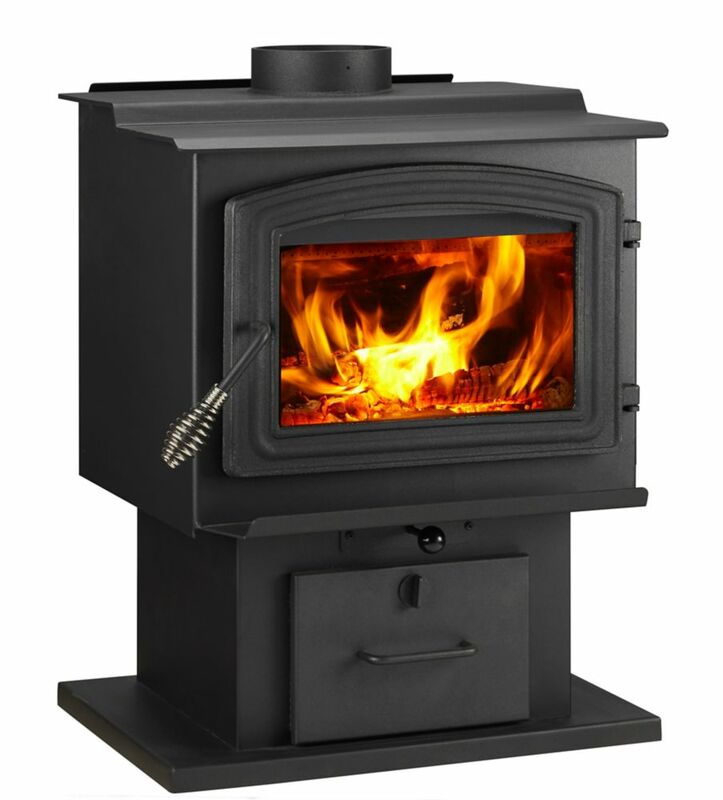 Heating coverage area is up to 1,800 sq ft.
Small Wood Stove The compact WoodPro WS-TS-1500 wood stove provides high-efficiency heating for smaller spaces. The 45,000 cubic centimetre, EPA-certified firebox holds a stack of 40 centimetre logs and can burn continuously and efficiently for up to 8 hours, while the included 2.8 cubic meter blower maximizes heat distribution in your home. The single cast iron door with large window provides easy loading and a beautiful view of the fire.